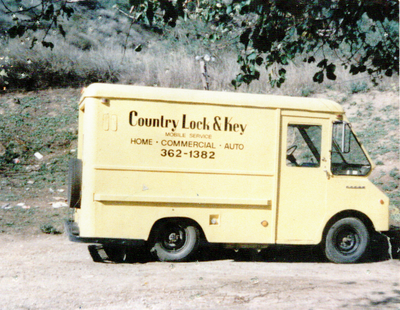 The History of Country Lock & Key, Inc.
With small beginnings and expansion through the years, Country Lock and Key has grown the provide local, trusted relationships you expect from a small business, with the capabilities of a large business. 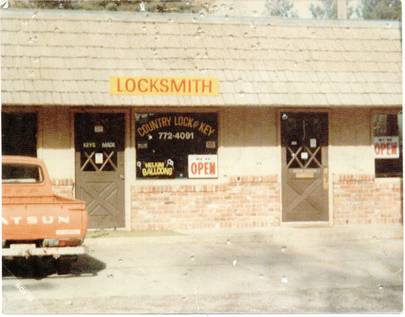 Country Lock & Key was founded in 1980 as a mobile locksmith by Pete Slauson Sr. From a one man, mobile operation to a multi-site, 10 man mobile locksmith Country Lock and Key has grown to say the least. We focus on all aspects of locksmithing and have trained technicians to service your most trusted and secured assets. Many locksmith companies, large and small, compete for your business. We hope to provide you the Experience, Knowledge, Expertise, and Quality that no one else can. Serve-Our team and our customers. Treat others the way you want to be treated. Work Hard-Be a go-getter! Learn from mistakes, nothing replaces hard work. Pursue Growth-Never Stop Learning, knowledge is power! Be Faithfull-To our morals and values, in the way we conduct business and to the promises we make to our customers. Be Positive-Be the solution not the problem. Be the change you want to see.